It seems like most Seattle neighborhoods have at least one outstanding Thai restaurant, if not a few of them. Ballard is no exception, having four Thai joints to choose from, all located within a few block walk of each other. I frequently find myself in the neighborhood around lunchtime so I’m always on the lookout for tasty, quick meals that are, if not cheap, at least reasonable. This often leads me to eating lunch at the exceptional Thai Thani where the food is always delicious and the service stellar. “Hi! Just you today? Please this way…” the server says as I enter the restaurant alone. The establishment is not extraordinarily large, as it occupies the site of a former Subway location. The front of the restaurant has a few tables next to the windows lining the west side of the building. 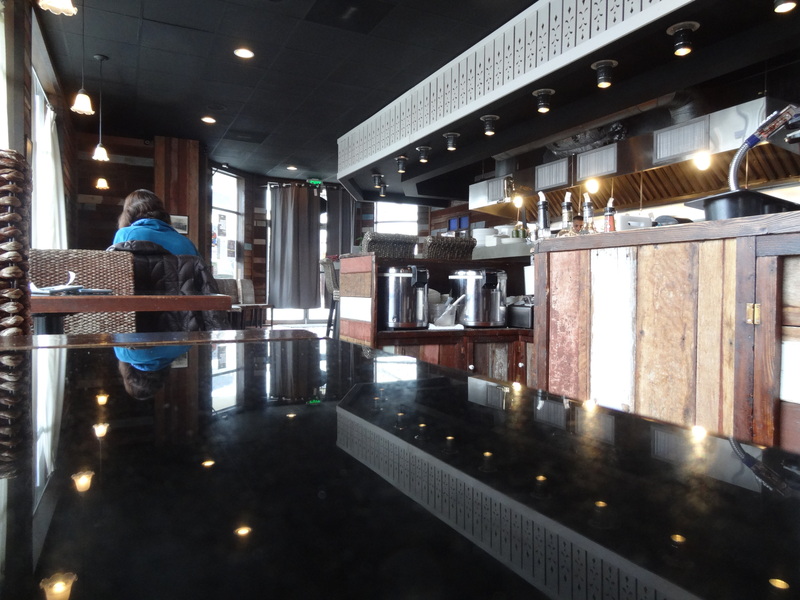 This set of tables is across from an open kitchen where you can see your meal, as well as the large number of take-out orders, being prepared. The back of the restaurant is a little more spacious but without the entertainment of watching the cooks hard at work. 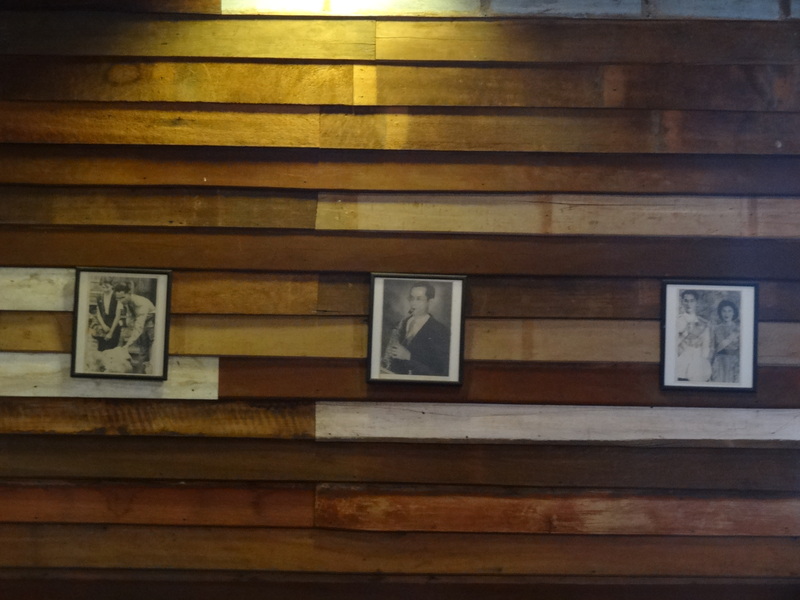 Pictures of the King of Thailand and his family dot the walls, artfully arranged. I inquire and my familiar server is more than happy to let me know about each photo, the Thai royal family and even a little bit about the overall interior decorating in the restaurant. 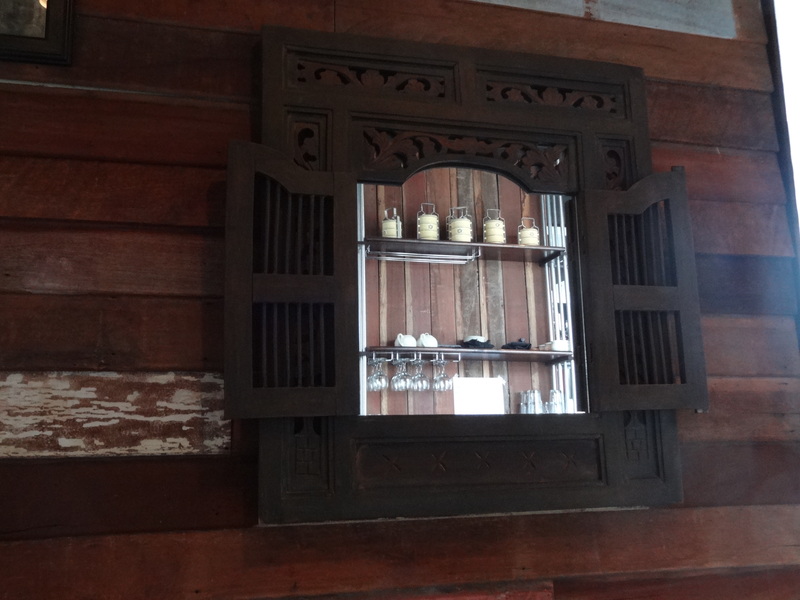 The framed photographs and repurposed wood paneling make for a homey, relaxed atmosphere in which to indulge in a savory meal. The only thing that seems to be lacking is the musical selection, as a certain Norah Jones CD seems to be playing in all-too-constant rotation to suit my tastes. “Same?” she asks me with a smile on her face. Same being my regular order of chicken red curry, four stars spice level – no bell peppers. The dish is creamy and sweet from the coconut milk but with a good contrast of spice and curry to balance it out. The lunch special is a little smaller than the dinner size entrée but comes with a bowl of the soup of the day – usually some sort of a tasty egg drop soup mix that includes bamboo shoots, carrots, fresh herbs and fresh cracked pepper. The lunch special includes a side of rice (white or brown) and a medium-sized portion of pad thai. All the portions combine for a veritable feast but if I’m feeling disciplined, I can try to limit myself to eating only the curry and rice, saving the pad thai for a complete second meal later in the evening. Those times when I stop in to the restaurant for dinner, I tend to order the tofu pad see ew, four-star spice level. The heat is easily manageable – not overly sweat and nose-drip inducing, leaving me wanting the spiciness kicked up just a tad bit more. I’m afraid that asking for it any hotter would result in a meal I wouldn’t successfully or enjoyably be able to eat, so I take the four-star spice level for what it is – and what it is, is pretty great. The entrée size pad see ew is large – loads of wide rice noodles, fried tofu and fresh steamed broccoli, all smothered in sweet soy sauce. You need to be really hungry to finish the large plate quickly. As I said in my first paragraph – there are many Thai options in the Ballard area. I haven’t eaten at all of them but I can confidently say that if you do find yourself in the neighborhood with a craving for delicious thai, you won’t regret giving Thai Thani Kitchen a try.